The Langma SL is engineered with our lightweight ALUXX frame material to take you to the next-level of road riding. 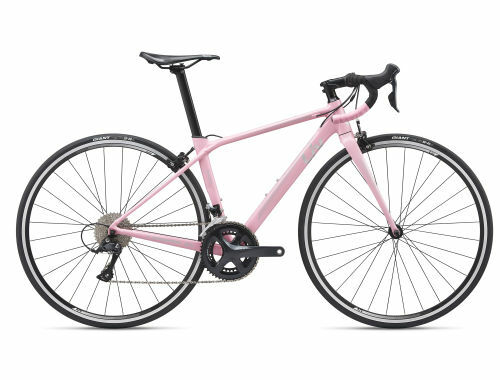 The light frame is an ally on the steepest climbs, and the slender tubing gives an aero- dynamic advantage. The downtube tapers to a thicker square-shape at the PowerCore bottom bracket, which creates an extremely lightweight and fast racing machine, without compromising strength or pedal stiffness. 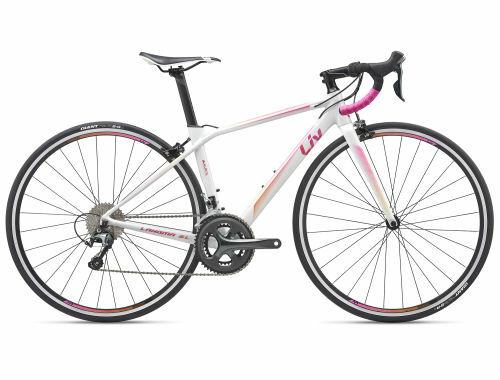 With Liv’s 3F Design Philosophy and cutting-edge aerodynamic innovations on a compact frame design, this nimble and strong bike provides the winning advantage on every effort, from mountainous road races to aggressive criteriums. Langma SL frame is built from high-performing and durable ALUXX aluminum, and will prove itself as a precise climbing weapon. Combining innovative tubing with the Flux stem provides the elements to slice through the wind without sacrificing weight or stiffness. Liv dialed in the Langma SL frame using body geometry, strength and muscular activity data, along with athlete feedback so the bike works with you on every climb, descent and attack. Impeccably handcrafted for the toughest climbers, aspiring racers, seasoned competitors and passionate cyclists alike, Langma SL is the secret weapon for charging the breakaway. Langma SL is programmed for both prolonged uphill efforts and quick accelerations so you can conquer the steepest climbs, power through flats, rail technical descents, and attack the group! This bike is a true companion for a determined rider.